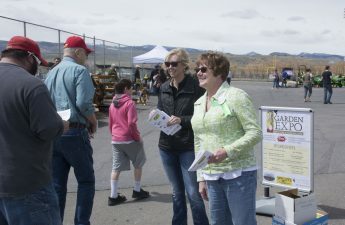 More than $686 was raised for the Fremont County 4-H Program through two goat yoga classes Saturday, April 28, near Lander. More than 38 people participated in the event at the Baldwin Creek Boers barn west of Lander. Money was raised through a $10 class fee and a $250 fee from sponsors. The money will be used for prizes in 4-H goat competition.